Everybody knows the importance of a college education. Some of us just don't act on it. And as you are getting ready to leave high school, you are probably thinking about the benefits of a college education and how it would impact your life. But maybe you are having thoughts about putting off any further education and, instead, getting a job or joining the military. Attaining a college education has actually become easier over the years. Not only are there more degree programs to choose from, but you can also now choose between a traditional campus-based school or an online degree program. And you have options from four-year universities, community colleges, technical schools and trade schools. And online programs allow you to attend classes wherever you live — even if there isn't a college or school near you. One of the most tangible benefits of a college education is that it increases your employment prospects and your earning ability. With a college degree, you are more likely to secure employment compared to someone who does not have one. In addition, your starting salary will probably also be higher than someone without a college education. These two benefits are supported by data from the Bureau of Labor Statistics. According to recent data from the bureau, unemployment rates are much higher among people without a college education. Further, people without any education past high school are also the lowest earners across all industries. Specifically, the historical statistics show that the unemployment rate for people without a college education is 14%, while it is 5% for those with a college education. And with regard to earnings, groups with college degrees earn almost three times more than those who are without one. Attending college also enables you to meet and interact with a wide range of individuals, from students to teachers. Your teachers may become mentors, or at least help you in your job search through recommendations, contacts and tips. And fellow students can become job networking helpers, not to mention potential life-long friends. So consider your interests and your potential career path carefully. The degree program you choose should be consistent with your career aspirations. In any case, at least try a few classes at a local college or online school to see what it is like. And remember that your career should not be an end in itself, but rather it should be a means by which to achieve a happy life. You can find a really good online college that serves residents of New Jersey. A New Jersey online college can save you money on tuition, housing and transportation. Plus, an online school can save you plenty of time and frustration as well. Deciding upon which online school to apply to is tough. Determining which college to start attending classes at is a major decision. The right school will provide the degree program and classes that you are looking for, plus offer convenient class schedules, and useful online features to enhance your learning experience. Most people don’t have the money to enroll at a really expensive university like Stevens Institute of Technology or Drew University, but luckily, there are several high-quality reasonably priced choices, including regional New Jersey county and community colleges and reliable online school options. From Atlantic City to Newark and from Trenton to Long Branch, students in New Jersey are enrolling in classes and working towards diplomas in criminal justice, economics, business, teaching, technology, nursing and health care, journalism, biology, math and many others. Serious career-minded young men and women these days know that their future employment options depend upon how much knowledge and formal training they have. So these young people are not settling for just a high school diploma. And maybe you don’t want to settle for just a high school diploma either. This web site is about education programs, options and possibilities for students within the Garden state, and exploring whether or not a good online school might be perfect for you. If you left high school without getting your high school diploma, you have a few options. First, you can enroll at an online high school to complete your degree. Second, you can go to a local community college and take the required classes that you need. Many school districts allow this. Third, you could pass the GED exam and be awarded your GED. Earning your high school diploma is the first step to launching your work career. Be sure you take care of it. There are courses that will help you prepare for the test. See www.gedprograms.org/ged-test-preparation.html. The test isn’t easy for most students to pass on the first attempt. Students can also take one or two trial tests to see if they are decently prepared for the exam. See www.gedprograms.org/ged-pretest.html. None of this is fun, but it’s just something we have to do. If you are adventurous, you could go to school outside of the USA. While many students spend a semester or two abroad, typically in Europe, there are other options, including Japan, India, Canada and Australia. If that is too exotic or expensive for your situation, and you want to attend college in a big city, you can always consider New York, Los Angeles, Chicago or Houston. Let’s discuss a few popular professions. You can train to become a professional chef. Chefs can work in great restaurants, hotels, resorts, casinos, cruise ships, or even in homes or offices as a private chef to a family or corporation. If you like working nights (and eating), this might be something to look into. The field of health care is still booming. Nursing in particular has many open positions. Nursing is a demanding profession. It isn’t for everybody. But if you have what it takes, if you like caring for people and enjoy working on your feet, you should at least consider it. Information technology (IT) graduates are finding jobs right out of college. IT degree programs are not as competitive to get into as engineering is, but they are difficult and challenging (you can’t be shy on math or computing) and you need to have a certain personality to be able to work by yourself on complicated projects. Computer science and information technology degrees are as popular as ever. Both enrolling students as well as the employers that may eventually hire them are optimistic about the career potential for technology graduates. Most students find that an undergraduate degree in computer science, information systems, information technology or programming is the best road to take. And if you’re looking for something different, like hot weather and can speak the language, attending a university in Mexico might be something for you to consider. It wouldn’t be the best fit for most US students, but it might be good for the right candidate. Is a culinary job something you would be looking into? This is sometimes a rough job. The hours can frequently include long shifts, early evenings and weekends and holidays. But plenty of people discover that the career is suitable for their interests. When you sign up for a culinary training course, you should typically discover straight away whether you are suitable for this type of vocation. The typical working day for a professional chef includes a certain amount of pressure. Professional kitchens and cooking areas can get hot and kind of crowded during certain times of the day. Considering that food planning needs to be completed at assorted hours of the day, a number of culinary arts specialists need to be on the job for hours apart from the conventional working day. Working as a professional cook usually means working around the kitchen. This is not a relaxing desk job. This gig can consist of a good amount of physical activity. An interested person could have a look at University of North Texas or get more info from PCS in Pennsylvania. Simply because everyone needs to eat, a skilled chef can generally get work in any city. Cooks aren’t restricted to living in just a few towns. Among the list of big features of this industry is the abundance of work opportunities. An experienced cook can normally identify a decent position almost anywhere. Veteran chefs also have flexibility with picking out the exact type of work hours they like. The vocation is widening as well. Chefs can specialize in unique areas, and they can continue to take extra training in food preparation or restaurant management. This can be a really sensible industry. You can look at the various alternatives and determine if it would be a suitable choice for you. Is a degree in nursing something you could be considering? It is usually a demanding job. The work days will often involve long hours, nights and weekends. However, the wages are good and it may be fulfilling. Once you enroll at a nursing training program, you should usually figure out pretty fast whether you are suitable for this type of profession. Most nurses find the routine work shift to be filled with challenges. These situations are frequently accompanied with emotional drama. Given that some medical care needs to be delivered at all different hours of the day, lots of nurses will be working hours other than the typical nine-to-five. Working as a nurse usually means working on your feet. It’s not a desk job. This job may easily require a variety of physical activity. Visit Central Texas College or find out more from a website such as this one. Healthcare is an industry which is experiencing healthy job growth. Experienced nurses regularly find numerous choices in the employment market. Working nurses have the choice to carry on with their formal education to get qualified for jobs of greater responsibility. As they obtain experience, they may also want to specialize in the particular component of healthcare they find the most interesting. Simply because medical care needs to be furnished everywhere, a seasoned nurse usually can get hold of work in any city of the country. You won’t be limited to residing within just certain communities. This could be a good field for the ideal individual. However, be certain that you’re suitable for it before you register for a degree program. School choices and options for starting a degree program or to take a few classes. College choices for our main list of top online colleges. Degree choices that involve both undergraduate and graduate programs. 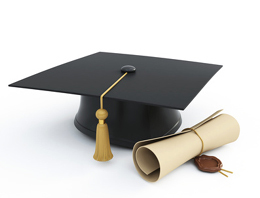 Four year diplomas when you want to earn an undergraduate college degree. Privacy details and also this site's use policies. Contact us is a page that discloses our contact info. Student debt is a pain you should try to get rid of as quickly as possible. Copyright© 2019 Noalu.com All rights are reserved. Prince George's Community College is a community college located in the area of Largo in Prince George's County, Maryland. They offer two-year A.A., A.A.S. and A.S. degrees as well as many non-degree or non-credit courses. Read more about this school.